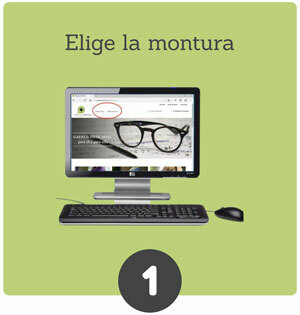 » HOW TO BUY EYEGLASSES ONLINE? Click on "SUNGLASSES" if you want to buy 100% original sunglasses with garanteed UV protection. Just select the sunglasses you want and clic on "BUY FRAME" and then "PROCEED TO CHECKOUT". boowse our selection of eyeglasses and pick one you likeTry them on, ...HOW? modelo-tryon. Just select the type of frame you want and the material you are looking for. If you want to see more options, choose "all materials" and click on the search icon. When you click on any of the frames, the chosen frame will appear in the photo of the Try On. Here you can select one of three options: 1) Take a photo of your face with your computer camera 2) Upload a photo you already have, or 3) continue using the models that come with the program. If you have presbyopia and need glasses to see at distance and near at the same time, then select BIFOCALES (BIFOCALS). The information you need is in your eyeglass prescription. You will numbers for each of your eyes. 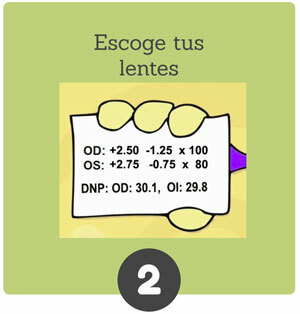 (¿How to read my eyeglass prescription?). If you don't under stand your prescription, you can send it to us via WhatsApp or E-mail. If you don't know your pupillary distance, click on “No conozco mi distancia pupilar”, and follow the instrcutions to obtain the measurement virtually. Colored lenses (Sunglasses): TINTED, MIRRORED, OR POLARIZED. The mirrored and tinted lenses come in a different color intensity. Select the intensity according to your needs. 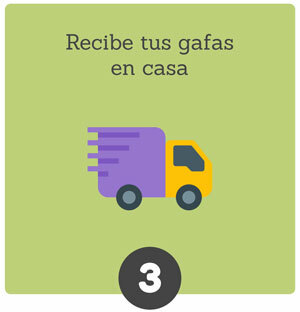 Once you have selected your glasses, then click on AÑADIR AL CARRITO (add to cart)". The payment will be integrated with PayU in a secure and convenient way. You can select the type of payment, either with credit or debit card, or through Effecty or Balotto. Once the payment is completed, Tuopticaenlinea.com will send you a confirmation email thanking you for the purchase. tuopticaenlinea.com will then process your order and will mail it you as soon your glasses are ready! You will receive your eyeglasses within 5 to 15 days, depending on the complexity of the prescription and the location of your home or place of delivery. HOW TO MEASURE THE PUPILLARY DISTANCE? What is INDEX OF REFRACTION? BLUE LIGHT: What is it? How to read my eyeglasses prescription? This site was designed and developed by Ittel SAS © 2018.